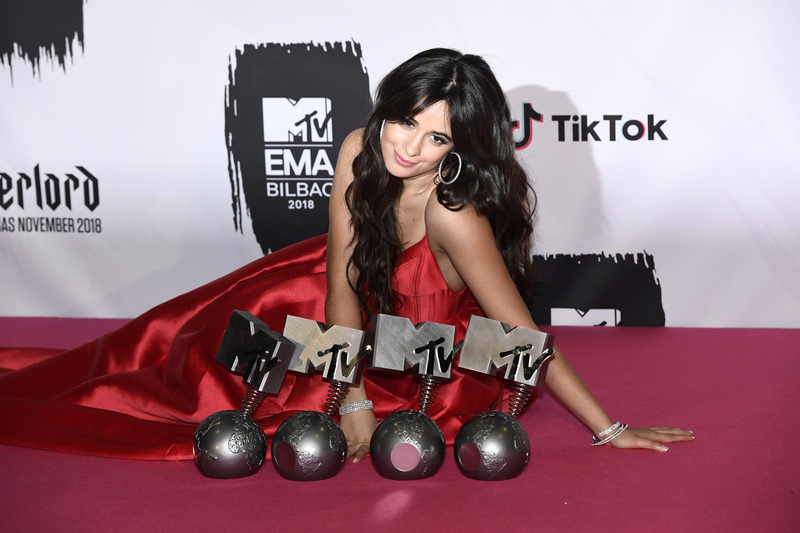 was the big winner at Sunday night’s 2018 MTV EMAs. “Havana” ft. Young Thug. She also picked up Best Song for the single. her fans as she took home one of the biggest honors of the night – Best Artist! “I love you guys so much,” the glam music superstar said as she accepted her award. She quickly dedicated the honor to the Camilizers. 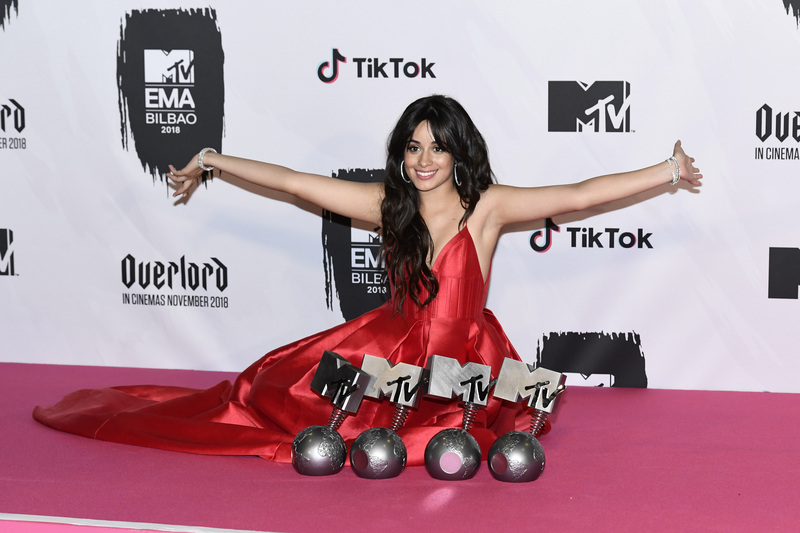 Camila also picked up Best US Act. The singer donned a high ponytail for her big night and tweeted to Ariana Grande after feeling the pain of pulled back hair! “I just did a high ponytail for the first time and it is literally pulling on my BRAIN ITS SO PAINFUL HOW DO YOU DO IT @ArianaGrande,” Camila asked. And, Ariana, who is having her own huge weekend after releasing new song “Thank U, Next,” wrote back. “well u actually have hair so that prolly makes it a lil more painful ….. nah jk i’m in constant pain always and don’t care at all,” Ariana tweeted. Camila had the cutest response, using Ari’s new single title. “I had to take it off #thankunext,” Camila wrote next to a pic showing her hair down in long locks. And later, in response to a fan, Camila continued to suggest that for her, the high ponytail was a onetime thng! “I’m literally never doing that hairstyle again,” she tweeted.